I hope all is well. Apologies for not responding to your previous message, it has been a very busy week. The condo in Freeport, for $86,000 would be a great investment, they do well as long term rentals. Freeport’s economy is generally a little depressed at the moment but should improve soon. Tourism is down on the island so renting short term to vacationers will be challenging. Definitely possible though, with good prospects for improvement in the future. Freeport has a number of large hotels so there is plenty of competition for tourists’ dollars. Abaco by comparison only has 2 medium sized hotels and a number of small ones (12 rooms or less). And then there are about 2,000 homes or condos in a vacation rental pool. The island is a big market for vacation rentals. Elbow Cay and Hope Town are the prime vacation rental market where a good home can get up to 30-35 weeks a year. On the other extreme Lubbers Quarters Cay typically gets 10-12 weeks a year. A good rental in Marsh Harbour or Treasure Cay can get between 15-20 weeks. The property has to have beach or waterfront to swim in and if there is a dock or a pool that the renter can use it is a big bonus. The reality of owning a vacation rental home in the Bahamas though is not that rosy in terms of income. Unless you happen to get one of the prime houses on the beach in the middle of Hope Town, that rent solidly back to back through the year, the income generated typically covers expenses and holding costs of the home. In most cases renting for 15 weeks a year will usually cover annual property tax and the insurance costs and most maintenance and upkeep of the home as well as cover the utilities. Basically a break even and owing the property does not cost you anything. Once the place rents more than 15 weeks it can be a money producer, while less than the 15 and it usually needs a cash injection. This 15 week number is a ballpark average, some homes with low values and low replacement costs could have low rates and therefore might break even at 10 weeks or less. Other high-end luxury homes tend to never break even on income and expenses, but in the upper tier, the taxes can be quite high so the owner is just happy not to have that liability going out. Then the real benefit of owning a vacation rental home is the ability to have a place to stay and vacation in, friends and family can use it and you get to enjoy the island life without the big expense of a hotel room or renting out a house for a week. It does mean that many owners spend their 3 weeks vacationing here doing repairs and upkeep, but it is a small price to pay for paradise right? If you want to look at any specific homes and consider the rental income potential and the associated expenses let me know and we can go over the numbers. The home you asked about in Casuarina Point is not going to be the best short term rental, it would typically expect about 3-4 weeks a year. The more remote a home the less demand it has as a vacation rental – people on vacation usually want to have the option of a restaurant or two nearby to have dinner in. Who wants to cook dinner every night when on holiday right? The Casuarina home would rent for about $1,200 per week for probably 4 weeks a year so it could expect a gross income of $4,800 which would not cover expenses unfortunately. In the past this home in Casuarina would have rented well, the area was a hot spot for fly fishermen visiting Abaco who needed a place to stay that was close to the sand banks, flats and creeks. Recently though a few dedicated fishing lodges have opened up like ‘The Abaco Lodge’ and ‘The Delphi Lodge’ which cater to the fishing crowd and offer very nice accommodations and gourmet prepared meals. These lodges have put the small vacation rental villas out of business essentially. You would need to factor in management of the house to do check-ins and check outs and make sure it’s cleaned etc. Most property management and vacation rental professionals will charge 30% of the rental rate which usually includes the cleaning. But Hope Town and Green Turtle Cay are still key vacation rental hot spots and the right place can bring a decent return on investment. The trick to remember though is don’t use the key holiday weeks for yourself. Let it out for Christmas, New Years, Easter, Spring Break, Memorial Day weekend, US Independence weekend, etc. etc. Many owners of vacation rental homes reserve these keys weeks for themselves and then grumble that the place is not getting enough rental income – well duh! The Casuarina home has been on the market for about 3 years, the owners are definitely ready to get it sold. It has potential to be converted into a bed and breakfast type of place if the owner wanted to live there and run it. There is lots of land to build additional cottages. The only fees would be insurance (probably about $3,500 p/a) and property tax (about $1,600 p/a). The only other expenses would be utilities and maintenance, there are no HOA dues. I hope this is all helpful and let me know if you have any more questions or would like to discuss anything. Was wondering how it would be as a holiday rental, how many weeks of the year. Also how long has this house been on the market for, and what on going fees apply to own it if any? Any details you could provide would be helpful. Hi there. I came across your blog post (from 2013, I believe) regarding the potential rental income in the Abacos. Out of curiosity, if you were responding to this woman today, would your reply be the same? We are considering buying land or property in the Abacos and figuring out the potential “rentability” is difficult! We are actually traveling there this coming Monday for five days to check out the area, and I’m hoping you can point us in the direction of areas that show potential to rent for 30+ weeks out of the year. Hi Kelly, thanks for reading and commenting. Yes the post generally remains valid today. It was written to be more general and less specific but provide some insight into the Vacation Rental world. Key things to consider when selecting a vacation rental home to invest in – most vacationers want to have dining close by (mom doesn’t want to cook on vacation), a home off the grid is often more challenging that it is worth, the closer the home is to amenities the more the cost to purchase, but the higher the rental rates and occupancy. I can tell you with complete sincerity – a home on Elbow Cay/Hope Town easily does 30 weeks every year. This is perhaps the best performing rental market in the Bahamas. coming second would be Harbour Island. Governors Harbour, George Town Exuma and Bimini would be in the following running. Other hot spots in Abaco are Guana Cay which is definitely a big up and coming neighborhood. Great Guana Cay is now doing very well, driven by a few dedicated and helpful locals. 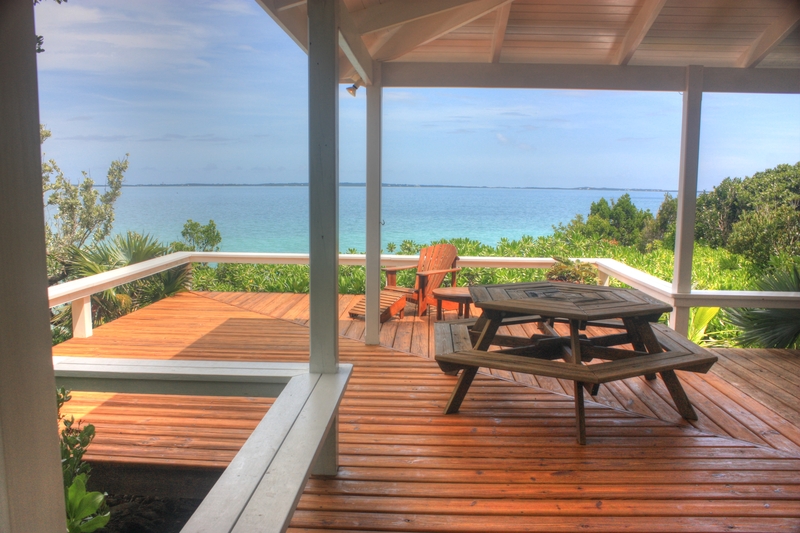 Guana Cay maybe the number 2 spot for a vacation rental spot. But then if you consider all that Treasure Cay has to offer and it’s convenience, it might be the best balance of price, convenience, ease of access, beauty, available amenities.